Our counselling services is a rewarding experience in which individuals work collaboratively with their counsellor to create powerful, positive changes throughout one’s life. We offer a safe and nurturing environment to help people make choices with improved clarity and bring depth and meaning to their lives. With an increase in the demands we face every day, it can become difficult to cope with all of the impending stressors. Counselling is an important process for everyone, particularly to build our resiliency and to re-establish balance and overall well-being before those stressors become overwhelming. Counselling is a way to enhance your life. Counselling is a process that occurs when you collaboratively explore areas of difficulty while developing a greater awareness of yourself and your actions. So often we habitually think and do things simply because that’s what we’ve always done. Over time, our reactions, thoughts and behaviours stop working for us – and that’s when we feel our life is at a standstill. Together, we will explore ways to move forward using tools to help you turn off your “auto-pilot” so you can live freely and within your control. Your new insights will give you alternative ways to cope or manage overwhelming feelings or experiences. When someone in the family has a problem, it can affect the whole family. 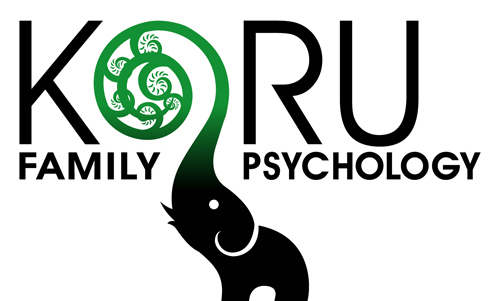 If you or someone in your family is experiencing problems with anger, eating disorders, mental or physical illness, depression, parent-child conflict, or other issues, family counselling may provide the opportunity for all of you to move forward.Family Counselling is an effective way to help all family members understand problems and make positive changes in their lives. Children experience a wide range of emotions and challenges. They can be greatly affected by the world around them in so many ways. Although they are often resilient, children may have difficulties coping with the everyday stressors in their lives. Often times they lack the necessary skills to cope effectively. As a result, they may express their challenges behaviourally. These behaviours can be troubling and exhausting for them and their families and may include bed wetting, tantrums, argumentativeness, defiance, hyperactivity, nightmares, withdrawals, peer conflicts, and school refusal. Our family-focuses counselling and intervention services help children and their families navigate difficult situations, learn more about what is underlying the presenting behaviours, learn adaptive coping skills, and promote healthy relationships. Parents are instrumental in their child’s development. Parenting can be a wonderful and rewarding experience; however, at times, it can be challenging for anyone. Most parents experience feeling overwhelmed and even guilty about what they “should” be doing. Coupled with the increased stresses we experience in modern times, trying to balance everything we have going on in our lives is difficult and sometimes seems impossible. Although there are no guaranteed methods for ensuring our children will be happy, healthy and successful in life, there are many things we can do to promote our children’s well-being. With extensive professional (and personal!) experience with parenting, we can help you navigate the challenges parents face in order to promote your children’s developmental assets – resources your children need to grow into successful adults.